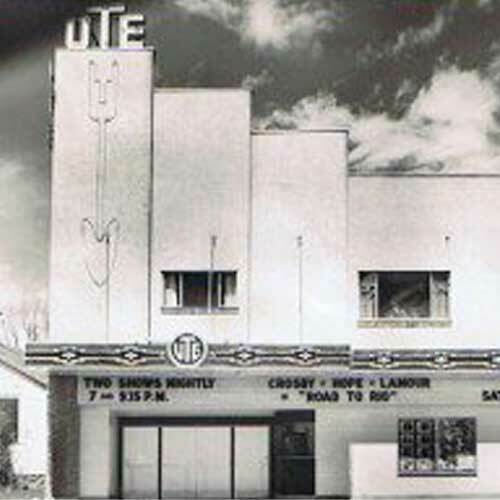 The ‘Ute’ Theater, presently known as the Ute Events Center, was built in 1947 and opened for business in January 1948. The brick building was designed by Don Monson, an Olympic U.S. Nordic ski champion who was in the 1939 Lake Placid Olympics. 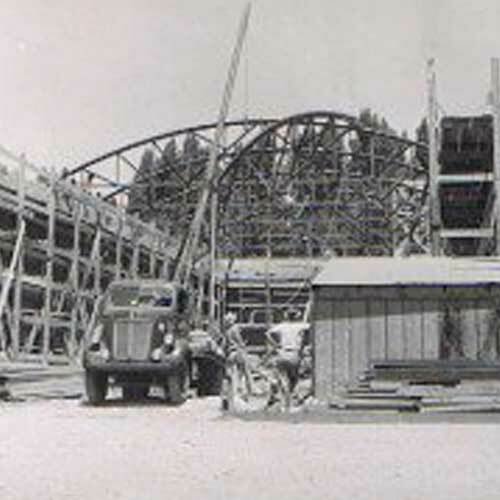 His father-in-law, Fred Lind, supervised the construction, which at that time cost $75,000 for the building and $25,000 for the equipment. He and his wife, Mary, managed the theater for many years. 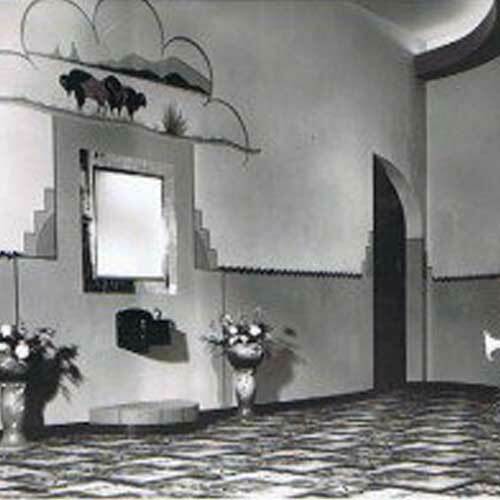 Mary Lind designed the six significant illuminated pictures housed in the theatre auditorium, which are now part of the new interior construction. They depict the 1940’s economy, which included hunting and fishing, the sheep and cattle industry, sugar beets, which were once grown in the area, and a picture of a Vanadium Mill, a major employer at the time. The City of Rifle acquired the building in 2006, when it learned the theater was going up for sale and the interested buyer wanted to use it for a thrift store, selling used furniture and clothing. Located one block north of the main business district, the economic viability and asset the theatre could bring to the downtown was recognized. By the time the City acquired the building, the towers on the facade had been removed and replaced with cedar siding which was common in the 1970’s, where bats took up residency. Other issues needing to be addressed were a leaking roof, sagging chairs, aging heating and ventilation system, antiquated sound system and of course asbestos throughout the building. It was publicly labeled a ‘sick’ building and attracted fewer and fewer people.